Feasting on this salad is like eating a rainbow. It’s fresh, colorful, and has so many flavors that all work together to make it beautiful. I can’t think of a better recipe to showcase the abundant produce of Spring. 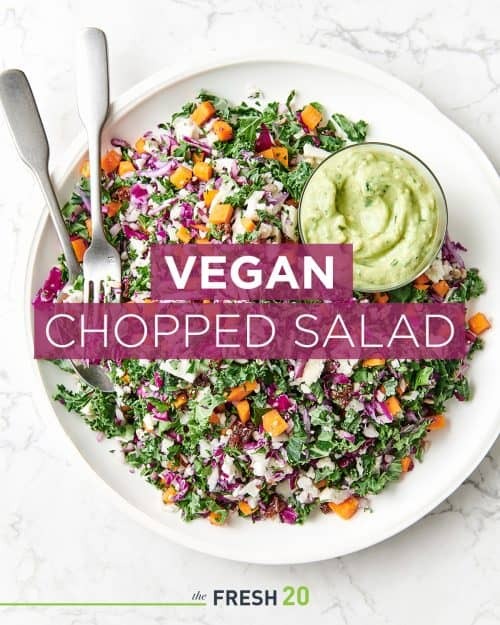 This vegan salad is a crowd-pleaser for herbivores and omnivores alike, and it amazes me that such a hearty, satisfying salad is paleo, gluten-free, dairy-free, and contains no added sugar. Crunchy sunflower seeds, sweet raisins and a tangy avocado ginger vinaigrette combine with bountiful vegetables to make this the perfect vegan lunch. 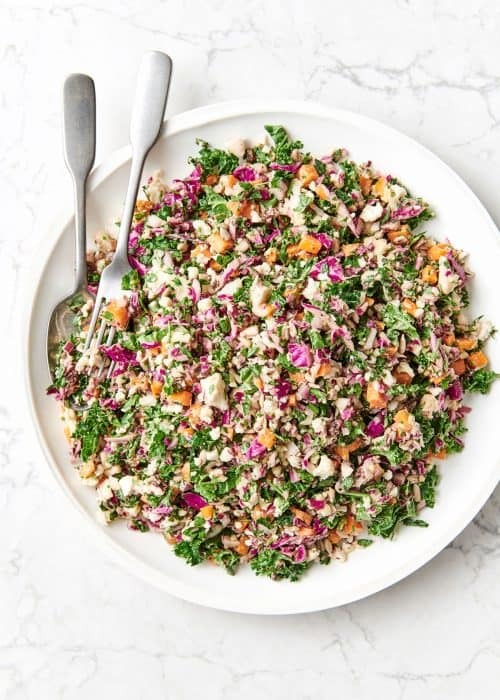 Filled with super foods like kale, cauliflower, red cabbage, and carrots, this salad can be made ahead, and even dressed in advance to allow the vinegar, ginger and cilantro flavors to absorb into the vegetables. 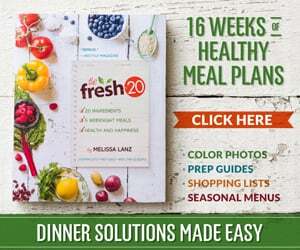 We love to prep this salad on Sunday and divide it into containers to prep for weekday lunches. This favorite vegan salad will leave you feeling satisfied and full, but not heavy. If you’re looking to kick the post-lunch food coma, this should be on your lunch menu. A healthy serving of protein and heart-healthy fats from sunflower seeds gives me a major energy boost to power through a busy afternoon. Hearty vegan chopped salad of super food vegetables, crunchy sunflower seeds and sweet raisins, topped with ginger avocado vinaigrette. 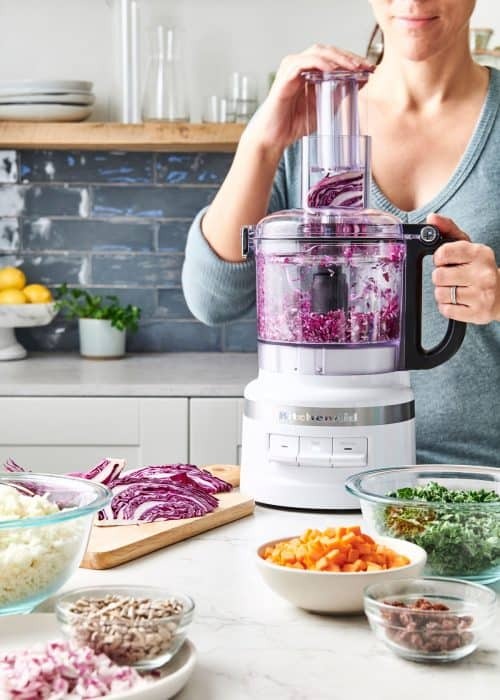 Chop cauliflower, cabbage, carrots and onion in food processor or finely by hand. In a large serving bowl, combine all salad ingredients. Whisk all the dressing ingredients until well blended. Stir dressing into salad and chill until serving.